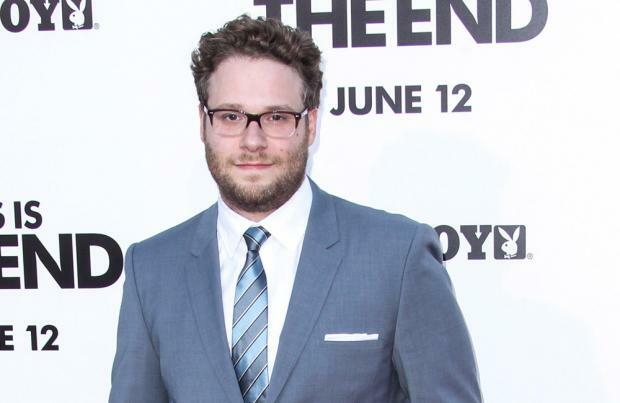 Seth Rogen was relieved not having to make people laugh in 'Steve Jobs'. The 33-year-old actor - who portrayed the late Apple co-founder and CEO in the biopic - welcomed the opportunity to take on a serious role and enjoyed not having to worry about telling funny gags to entertain people. Of the unusual role for him, he said: "Improvising is really hard and it's difficult to come up with new things take after take and to try to make them funny. So it was a relief not to have to do that, quite honestly." The 'Knocked Up' star had to audition for the part in the movie - which also featured Kate Winslet and Michael Fassbender - and had doubts that he had not got the part because he didn't hear from the director for a long time after auditioning. He told Notebook magazine: "It was a little weird though I was very happy to do it. I didn't hear anything for ages. And I didn't want to force myself into a world I wasn't wanted in." Seth believes that sometimes filmmakers will add a famous person to a cast because they will bring in the money. He added: "Sometimes if you're famous, the studio will want you in their movie just because you might help them make money."